Al Jazeera Restaurant is actually located outside of Washington DC in Falls Church, Virginia in a little shopping center with many Ethiopian shops and businesses. While there are some Yemeni dishes on the menu, it turns out that this restaurant is more Ethiopian than Yemeni. We started off with some maraq soup and salad. We then ordered two main dishes, lamb mandi and chicken mandi, and some fasoulia. 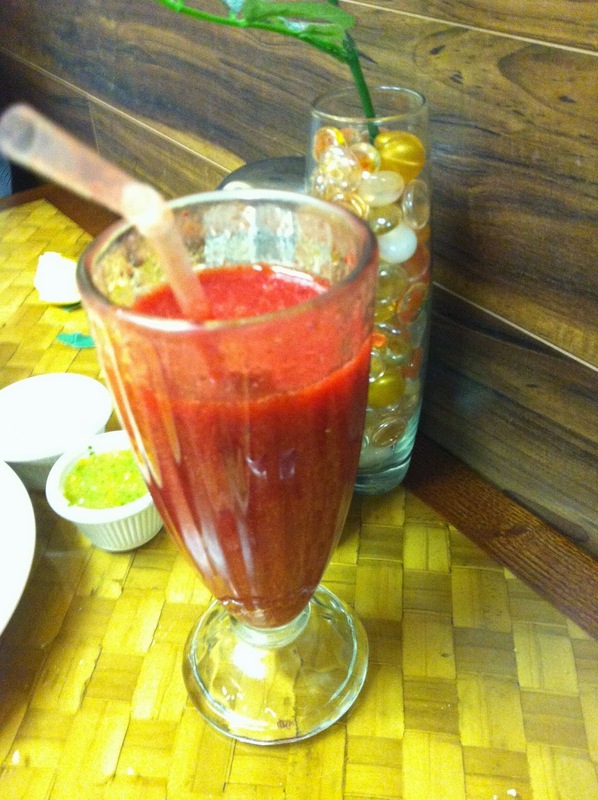 I also got a fresh strawberry juice. It was all pretty good, but the sahawiq was really, really spicy!